Sometimes I get bothered by the way goats get ranked lower than sheep. Think about the implications when talking about the phrase "separating the sheep from the goats." Even the Chinese Year of the Goat, which is about to end, is sometimes listed as the Year of the Sheep or the Year of the Ram. BAAAAA! I've raised goats. They're social animals and smart. Sheep aren't usually described that way. They also can be stubborn, maybe that fits sheep, too, I'm not sure. They are fairly good at eating omniverously -- if you still have your Christmas tree and it has no chemical treatment, they love it! They do not eat tin cans. That myth came because they love eating the glue and paper labels on cans. When paganism had disappeared, the Southern-Slavonic legends received many elements from the Greeks and Romans. 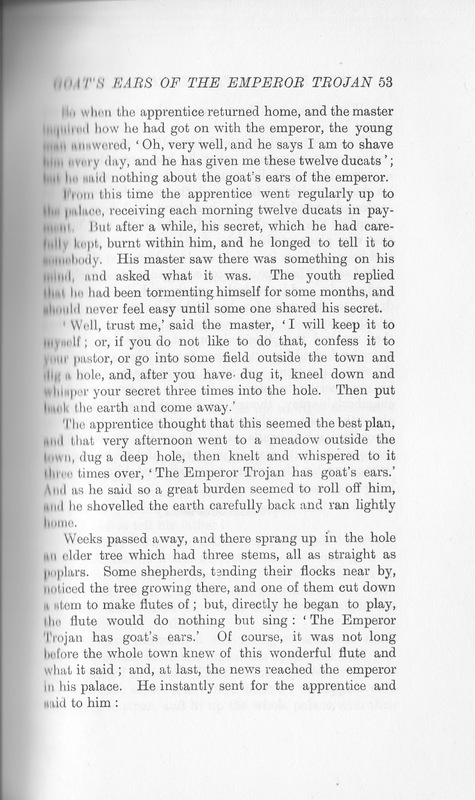 There are references to the Emperors Trajan and Diocletian as well as to mythical personages. In the Balkans, Trajan is often confused with the Greek king Midas. In the year 1433 Chevalier Bertrandon de la Broquière heard from the Greeks at Trajanople that this city had been built by the Emperor Trajan, who had goat’s ears. 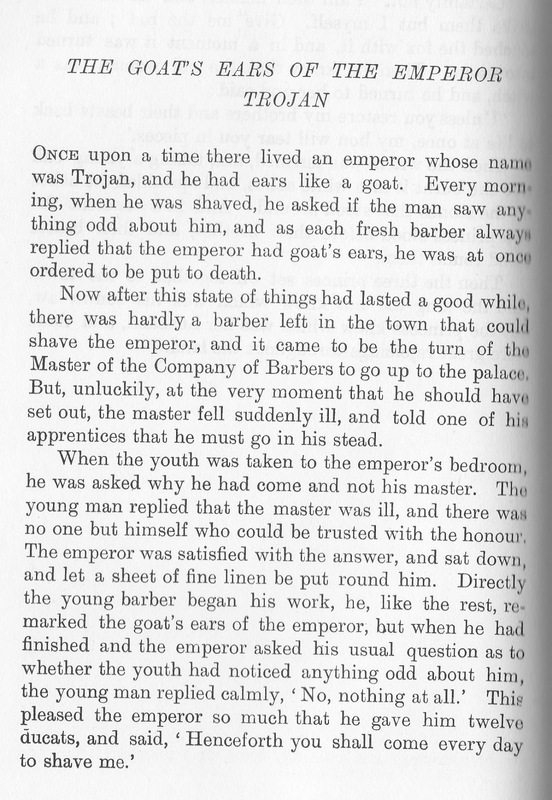 The historian Tzetzes also mentions that emperor’s goat’s ears ὠτία τράγου. 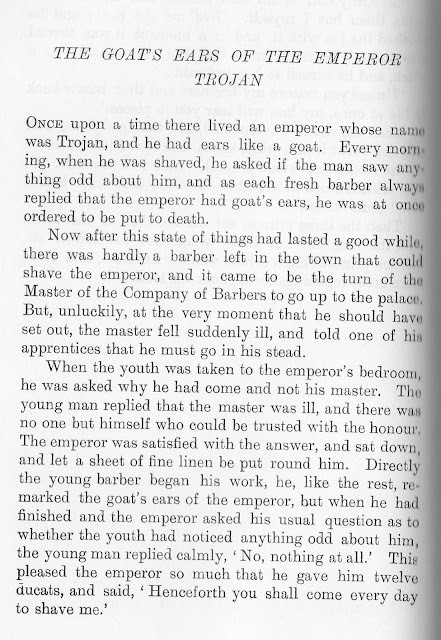 In Serbian legends the Emperor Trajan seems also to be confused with Dædalus, for he is given war-wings in addition to the ears. Many of the coins of Trajan feature a marvelous heroic and realistic bust. 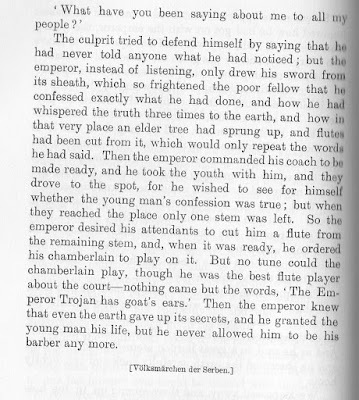 However, when Trajan was raised to emperor the mints were faced with a quandry as they had no official portraits to copy for their engraving. 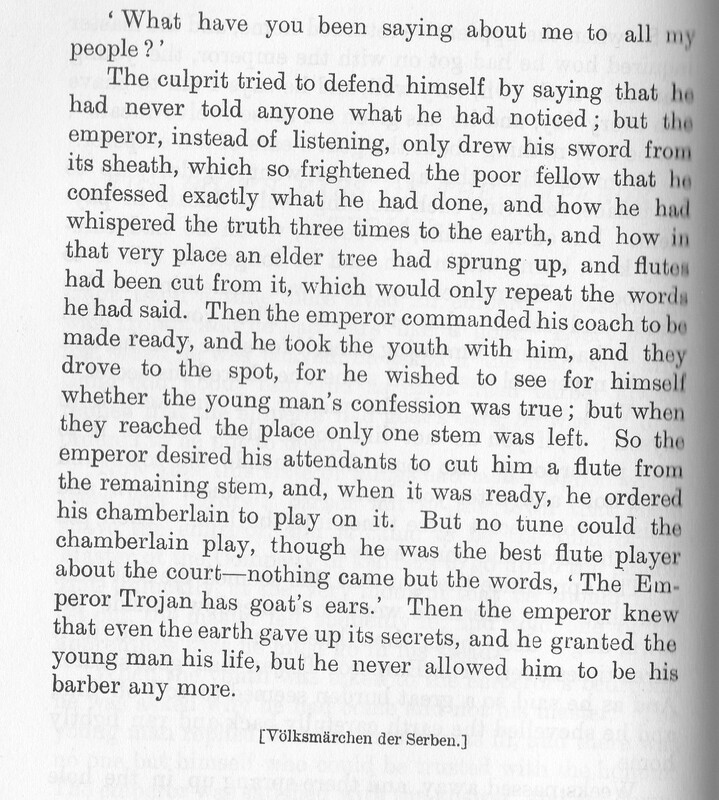 Trajan complicated the issue by staying on the frontier with his troops a full year before returning to Rome. Thus, many of the early coins minted during his first consulship [COS II, 97-99 CE] bear images that were the best guesses of the celators. Often the images have a distinctive Nerva look. I knew I had heard this story before, but I checked Amazon and the only picture book version re-telling by Katarina Jovanovic and illustrated by Phillippe Beha doesn't look familiar. Here's Lang's version of the story. I like playing Native American flutes and now have one from somewhere in the former Yugoslavia, possibly from Serbia. Bet the stories behind the making of my flutes can't match this one! Whether your New Year has begun or is about to end and become the Chinese Year of the Monkey, happy storytelling!